Usually more than one flower per stem, head drooping, perianth segments (petals) often reflexed and of silky texture. In flower beds, borders, rock gardens, under trees and shrubs, amongst perennials, in naturalized areas and as cutflowers. 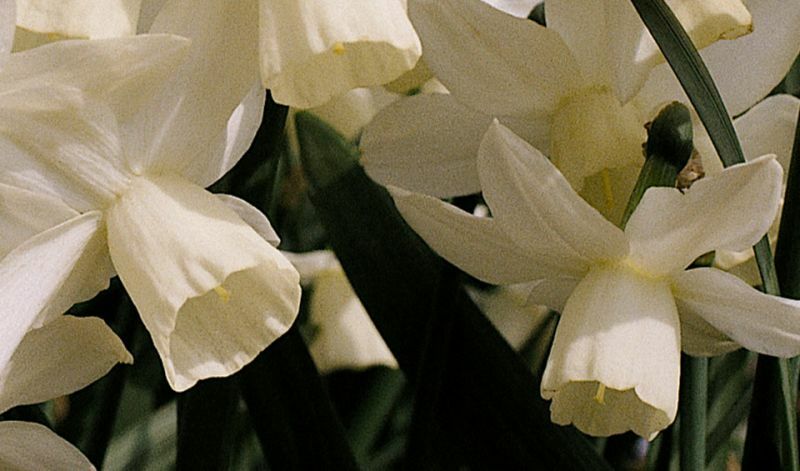 'Hawera' (golden yellow), 'Ice Wings' (white), 'Lemon Drop' (pale yellow), 'Petrel' (white), 'Silver Chimes' (white, white & yellow cup), 'Thalia' (pure white), 'Tresamble' (white, ivory white cup) and 'White Marvel' (white, filled white cup).